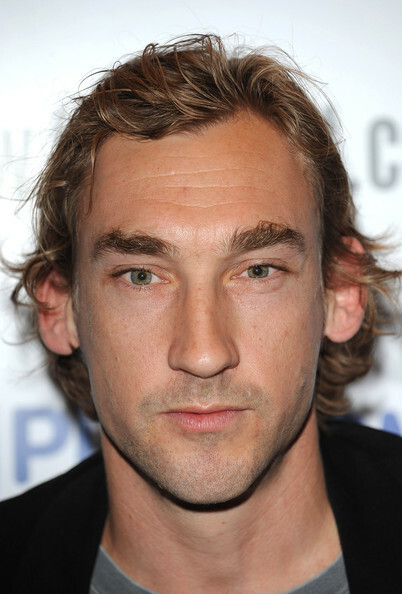 Joseph Mawle is a British actor. He landed his first major role in a 2003 production of Troilus and Cressida playing Troilus for Shakespeare at The Tobacco factory, work at the Nuffield Theatre, Southampton, in Hamlet and in 2005 the Royal Exchange Manchester's production of Antony & Cleopatra followed. It was his performance in the television film Soundproof in 2006 that made his biggest impact. Mawle was nominated for the RTS Breakthrough On Screen Award and director Ed Coulthard won the BAFTA for best director in 2007. He has appeared in a number of British television productions since including Dunkirk and in Adrian Shergold's Persuasion and Channel 4's gay drama Clapham Junction in the role of Tim. Time Out said "Mawle and Treadaway put in Bafta winning efforts". In 2008 he starred as Jesus in BBC/HBO Films miniseries of The Passion, and as a guest star in Foyle's War Broken Souls series. In 2008 Joseph returned to the theatre in The Last Days of Judas Iscariot at the Almeida Theatre directed by Rupert Goold. Listed for 'Outstanding Newcomer' by The Evening Standard Theatre Awards and nominated for WhatsOnStage 'Theatre Choice Awards' for Best Newcomer for his performance as Judas Iscariot. 2010 artist David Austens End of Love and new short film Sometimes The Moon Is Velvet travelled festivals. Agatha Christie's Murder on the Orient Express, BBC drama Five Daughters. Dominic Savages Dive Made in Dagenham, starring Sally Hawkins. He also starred with Rosamund Pike as lovers Gerald Crich & Gudrun Brangwen in the 2011, BBC4 television adaptation of Women in Love. Mawle currently stars as Benjen Stark in the HBO series Game of Thrones adapted from George R. R. Martin's 'A Song Of Ice & Fire' novels. He has several projects lined up for release in 2012 including the eagerly anticipated Working Title production of Sebastian Faulks acclaimed novel "Birdsong" - features in Bruce Willis film "The Cold Light of Day" and Tim Burton produced "Abraham Lincoln Vampire Hunter" and the independent British film "Shell". In 2011, he was featured in The Horrible Crowes' music video for their debut single "Behold The Hurricane". Whole or part of the information contained in this card come from the Wikipedia article "Моул, Джозеф", licensed under CC-BY-SA full list of contributors here.